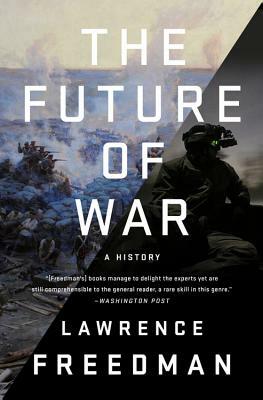 Freedman's account of a century and a half of warfare and the (often misconceived) thinking that precedes war is a challenge to hawks and doves alike, and puts current strategic thinking into a bracing historical perspective. Lawrence Freedman is emeritus professor of War Studies at King's College London. Elected a fellow of the British Academy in 1995 and awarded the CBE in 1996, he was appointed official historian of the Falklands Campaign in 1997. He was awarded the KCMG in 2003. In June 2009, he was appointed to serve as a member of the official inquiry into Britain and the 2003 Iraq War. Professor Freedman has written extensively on nuclear strategy and the Cold War, as well as commentating regularly on contemporary security issues. His most recent book, Strategy, was a best book of 2013 in the Financial Times, A Choice of Enemies: America Confronts the Middle East won the 2009 Lionel Gelber Prize and Duke of Westminster Medal for Military Literature.